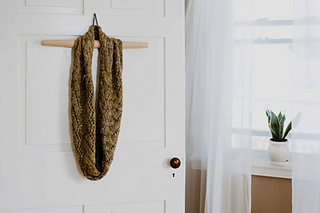 Choose your favorite bulky-weight yarn and soon you’ll be knitting these twig lace repeats in your sleep! 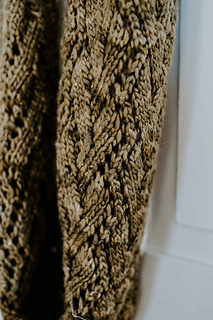 This cowl begins with a provisional cast-on, works 22 repeats of the lace pattern, and finishes with a kitchener seam—which is invisible—to preserve the beauty of the lace. This pattern includes written and charted instructions. 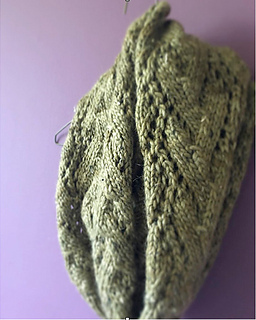 Gauge isn’t essential to this project, so choose a needle that works a comfortable lace for your liking. It will grow, though, so be sure that it is on the snug side so that it can grow without overstretching during the blocking process. 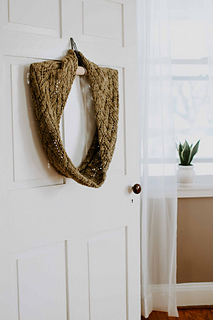 You can also customize this cowl by working fewer or more repeats of the twig lace chart.